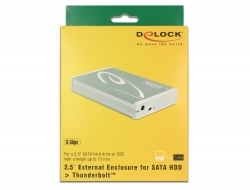 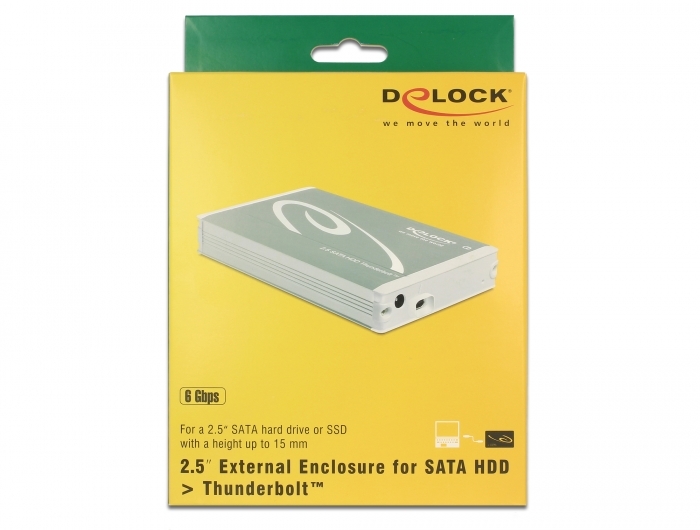 In the aluminum enclosure by Delock a 2.5″ SATA hard drive or SSD can be installed. 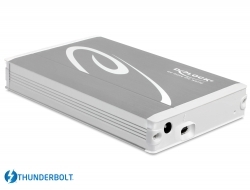 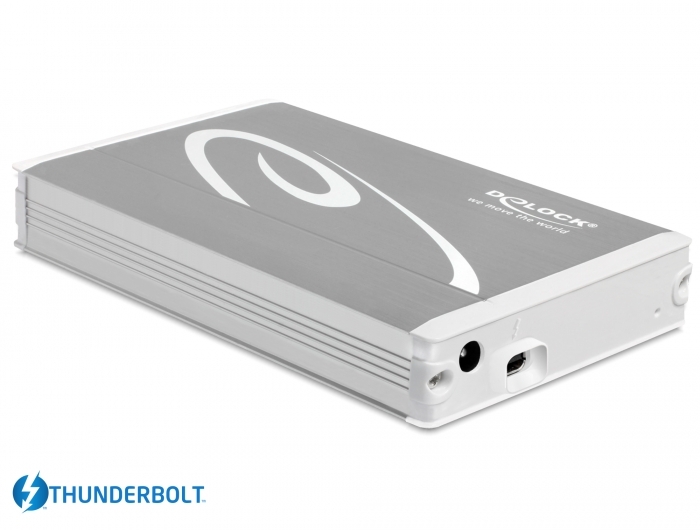 The enclosure can be connected via Thunderbolt™ to a MacBook, PC or laptop. 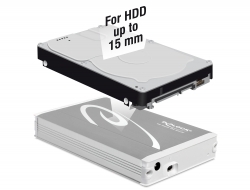 The enclosure is especially suitable for different hard disk with a height up to 15 mm.